Throat infections are perhaps one of those diseases, that bring the strongest and bravest of people to their knees. A sore throat usually starts with an uneasy itch in the throat and before one knows it this slightly annoying scratchiness turns into a full-fledged infection that entails pain while swallowing, low-grade fever followed by a bout of the flu or common cold. Sometimes the underlying cause of a sore throat is the Streptococcus bacteria and this is when the infection can be termed as Strep Throat. Many people suffer from congestion and inflammation of the respiratory tract after a sore throat probably since the pathogens move further down the system to infect other organs of the respiratory system. Warm water, saline gargles can help flush out the pathogens and create a hostile environment in which they cannot grow back again. Drinking a sufficient amount of fluids can help the body recuperate faster. Ibuprofen or paracetamol is recommended for relief from inflammation. Medicated lozenges can also provide relief from the pain and discomfort. In addition to these, there is one natural substance that can help you not just get rid of an existing throat infection but also fortify your body to fight against any future infections. This substance goes by the name of Curcumin and not many people can claim to know about it. Curcumin is in fact hidden right under our noses all the time. This is because it is the chief constituent of a spice that occupies an important place in South East Asian cuisine – Turmeric. Curcumin is the reason behind the great importance bestowed upon turmeric for its healing properties. Curcumin is a polyphenol that has been blessed with a plethora of medicinal qualities that can help in alleviating symptoms of all forms of diseases. The anti-inflammatory and antipyretic properties of curcumin help in bringing down the severity of inflammation experienced during a throat infection. By toning down the activity of pro-inflammatory chemicals in the body, curcumin can reduce the pain and discomfort. The broad spectrum anti-microbial properties of curcumin are very helpful in fighting all forms of pathogens that can cause a sore throat. This includes the Streptococcus bacteria which is one of the chief pathogens causing a sore throat. The antioxidant nature of curcumin is helpful in bringing down the level of oxidative stress by balancing the pro-oxidant and antioxidant species in the body. This too helps in bringing relief to a person suffering from a painful throat and congestion. Curcumin allows you to sleep better as well since it has natural sedative properties. This gives the body the much-needed rest required to heal faster. Bagdara Farms is an Indian initiative that caters to people looking for curcumin supplements for treating their medical conditions. Located in the lush green Bandhavgarh forests in Katni, Madhya Pradesh, Bagdara Farms is rich, fertile farmland where high grade, organic curcumin is grown. 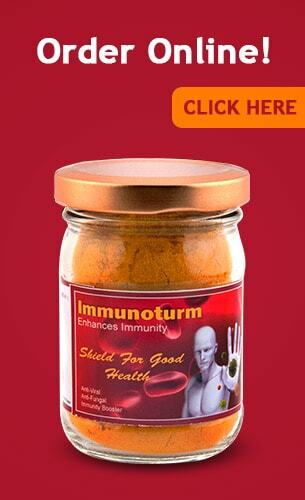 Using this curcumin a supplement known as Immunoturm is created which aims at boosting your immunity and helping you fight common infections like Strep throat, common cold etc. Curcumin Gargle – You can mix some Immunoturm in a glass of warm water with a pinch of salt and gargle with this solution. This will help you target the infection causing microbes residing in your throat. 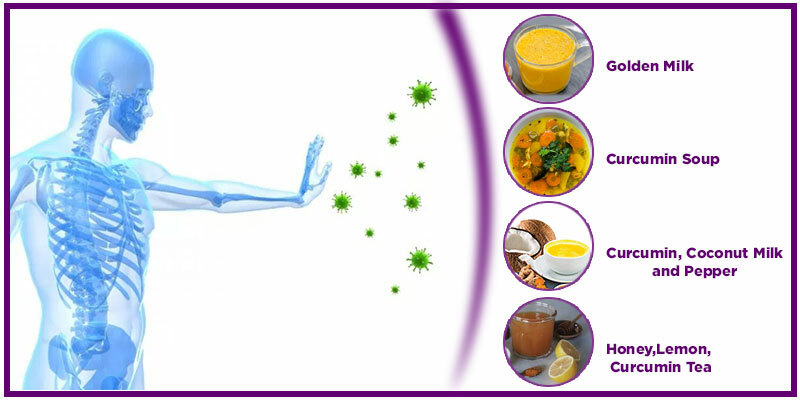 The anti-microbial properties of curcumin will ensure that all kinds of germs are flushed out immediately. You can repeat this several times a day for maximum benefit. Golden Milk – Curcumin and warm milk have been known for centuries to go well together. Add a pinch of black pepper to this combination for a drink that will help you recover from a sore throat in a blink of an eyelid. Honey, Lemon, Curcumin tea – A cup of warm water should be boiled along with some Immunoturm and allowed to sit for a while. Then a dollop of honey should be added to this concoction along with a squeeze of fresh lemon. This wonder-drink will give you the combined therapeutic power of curcumin, lemon, and honey and will get rid of your throat infection in a jiffy. Curcumin Soup – Boil a cup of water with some Immunoturm in it. Add chopped garlic, a couple of whole peppercorns and some basil leaves to this mixture. Bring the mixture to a boil and turn off the flame. Allow it to sit for a while and then strain it in a soup bowl. You can even add some honey to it as per your taste. This is a nourishing soup that has the potential to cure a throat infection as well as a stomach bug. Curcumin, Coconut Milk and Pepper – Boil some water in a bowl and add pepper and Immunoturm to it. After a while add some coconut milk to this solution. This therapeutic tonic will help in bringing down the pain in the throat as well as expedite the process of healing. Use it to believe it and to feel the difference.